Dr. Robert Reese is a renowned hair transplant surgeon whose research and work in this area has truly helped to advance the profession of hair transplantation. Dr. Robert Reese is a certified and re-certified Diplomate of the American Board of Hair Restoration Surgery (ABHRS). He is one of approximately 200 hair restoration surgeons worldwide who have completed the rigorous qualifications to attain this level of expertise. As a Past-President of the American Board of Hair Restoration Surgery he is a recognized leader among hair transplant doctors worldwide. Although the majority of his patients reside in the upper Midwest, Dr. Reese has operated on patients from around the world. Dr. Reese has also advanced his profession through performing original research on the use of platelet rich plasma (PRP) in the hair transplantation process, and is one of the first doctors in the world to use PRP in hair transplant surgery. He has performed original research via three studies on the use of PRP in the hair restoration process; the most recent study was published in the scientific journal, Dermatologic Surgery, November 2016. As a renowned expert is his field, Dr. Reese has given lectures at hair restoration meetings around the world on the use of PRP in the hair restoration process. Through these efforts Dr. Reese has advanced his profession to the point that the use of PRP in the hair restoration process is now considered as mainstream and is routinely practiced by leading experts in the field. Dr. Reese is often asked to write articles on hair transplantation and recently authored a chapter on the use of PRP in hair restoration surgery for the medical textbook, Hair Transplant 360, Volume 3. He has also contributed articles for the publication Hair Transplant Forum International. After graduating from medical school, Dr. Reese completed his residency in General Surgery and then went on to complete a fellowship in Peripheral Vascular Surgery. He has been a practicing surgeon since 1993, and has been preforming hair restoration surgery on a full-time basis since 1999. Learn more at Reese Hair Restoration. 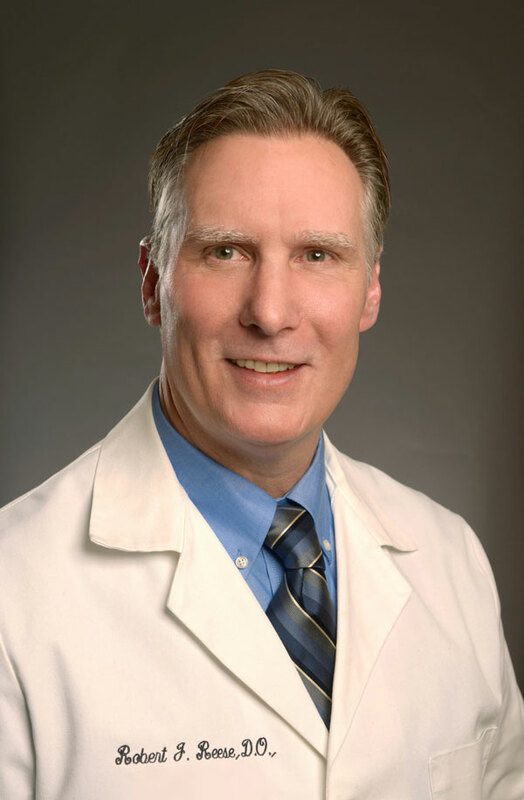 Dr. Robert Reese is also an experienced physician with an outstanding reputation known throughout the highly specialized field of venous surgery. His team has the precise training and expertise necessary to help men and women of all ages find relief from troublesome veins. More importantly, He help’s patients regain confidence and a more comfortable, active lifestyle by eliminating vein problems. Since 1992, Dr. Reese’s venous surgery focus has been on the provision of effective, pain-free treatment. Many of his patients are surprised to learn that vein treatment is far more comfortable and simpler than they imagined. With Dr. Reese, you can turn your life around and spend time doing the things you love the most, like walking, swimming and even wearing short skirts! Learn more at www.ReeseVein.com or contact his office at (952) 224-8107 to schedule your consultation with our experienced team.